Ships pre-configured for your Cloud PBX (for a plug and play setup). 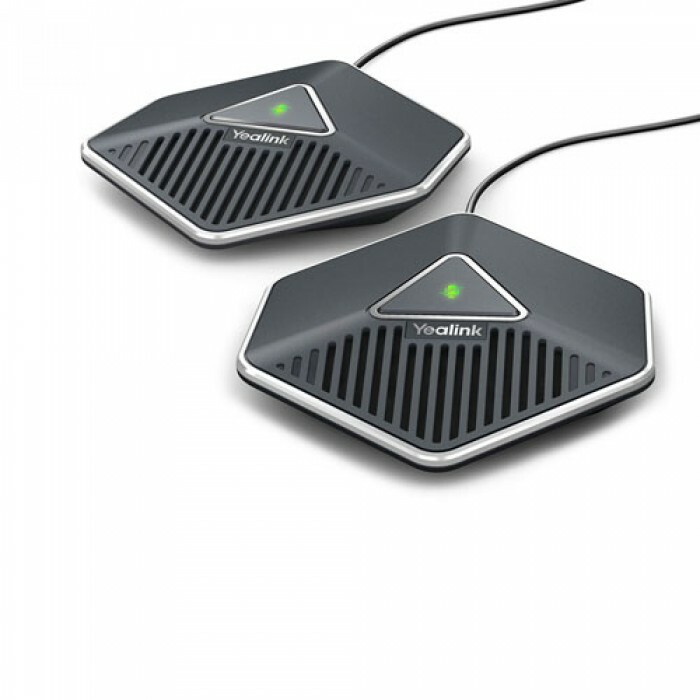 The Yealink CP860 IP conference phone is a perfect choice for small and medium-sized conference rooms, meeting the demands of up to 16 people with optional expansion microphones. The CP860 provides many important audio features including optima HD technology, built-in 3 microphone array, full-duplex speakerphone technology and acoustic echo canceling. 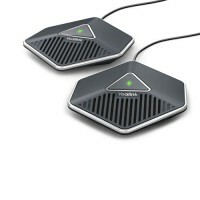 Users can enjoy rich, clear and life-like conference calls. 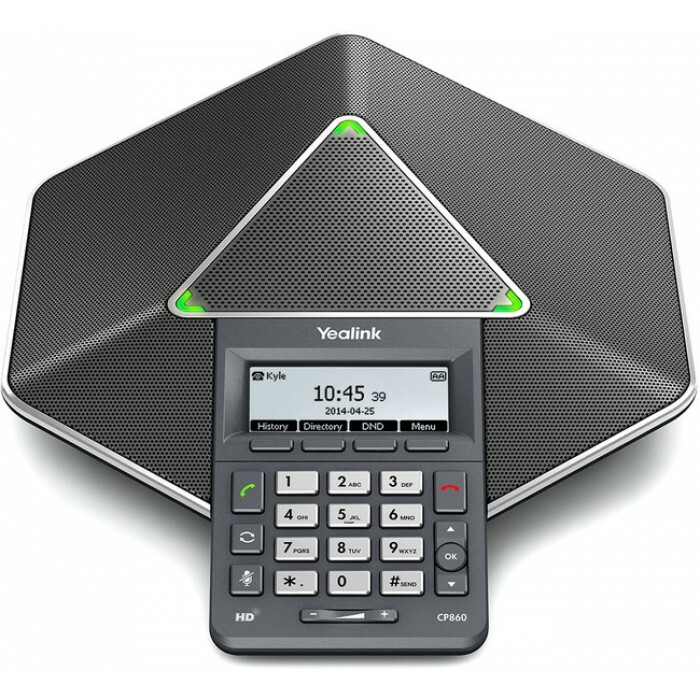 The Yealink CP860 also supports call recording, plus linkages to mobile phones or PCs for a more convenient conference calling experience. Plug and Play Yes, Pre-Configured for your Cloud PBX. Expansion Yes, w/ optional external microphones. You can now activate Call Recording on calls forwarded to your cell phone, or any other phone. No smartphone or app required. Just dial a short feature code anytime during a call to start recording. Upon hang-up, the recording will be sent to your email address, in an MP3 format. It will also be available for download in our Cloud PBX portal. You can now transfer calls forwarded to your cell phone, or any other phone, back to any extension on your Cloud PBX. No apps or anything fancy required. Just dial a short code to place your caller on hold (with music), enter an extension and the caller is instantly transferred. You'll no longer need to ask your caller to "call back your office line" to speak to a colleague, transfer them yourself! You can now place calls forwarded from your Cloud PBX to your cell phone, or any other phone, on hold with music! No Apps or anything fancy necessary. 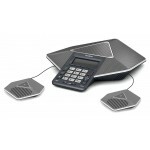 Perfect if you receive a personal call, while active on a business call. Just place the business call on Remote Hold, then answer the 2nd call as normal. We won't tell anyone that you're actually at the beach. SMS / Text Messaging is quickly gaining in popularity as a new form of business to client communication. Send appointment reminders or helpful automated replies (like coupon codes for secret sales) on our super fast SMS Network. You can send texts via email and through our Cloud Portal, to a single recipient or a group of SMS numbers. Get modern, go mobile with Cloud SMS. You can now block callers by Caller ID! You can instantly hangup the call, play a "number not in service" message, play a "not accepting your call" message or quietly send the caller straight to voicemail. New Feature! Caller ID Selector. You can now select or change your Caller ID number on all outgoing calls! No Separate extensions or fancy call routing necessary. A special Caller ID code is assigned to each DID (phone) number on your Cloud PBX (even your fax numbers!) Prefix that code to the number you’re dialing and the Caller ID will be dynamically updated!